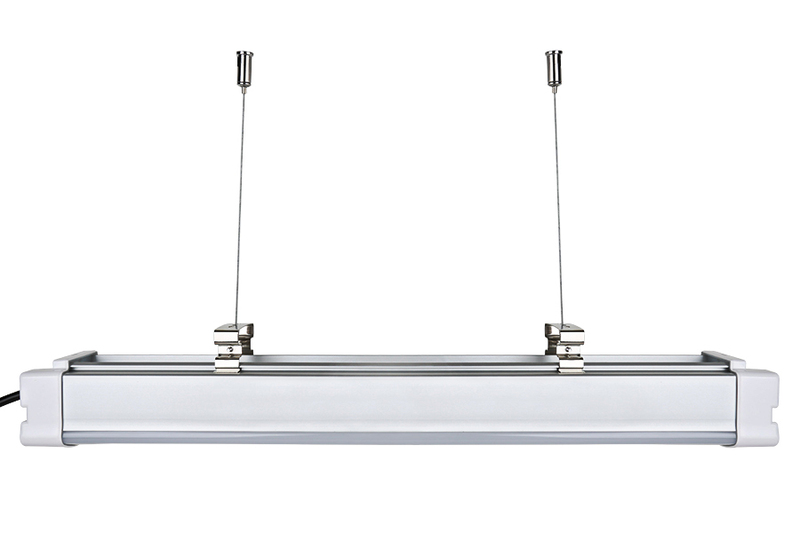 LED Garage/Shop Light Suspension Kit: Shown Installed On 30W Light. Use this suspension kit to hang your 2' or 4' 50- and 60-watt LED Garage/Shop Lights or 4' Aimable LED Vapor Proof Light. 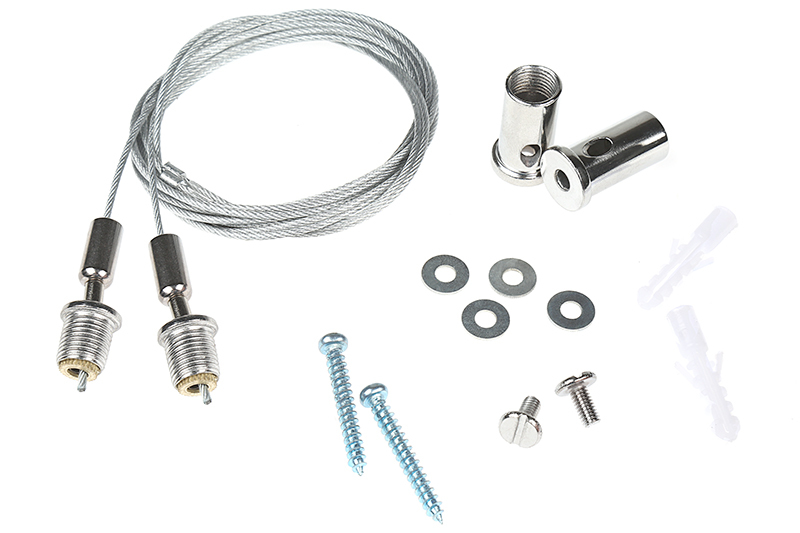 Kit includes 2 stainless steel braided cables and mounting hardware. 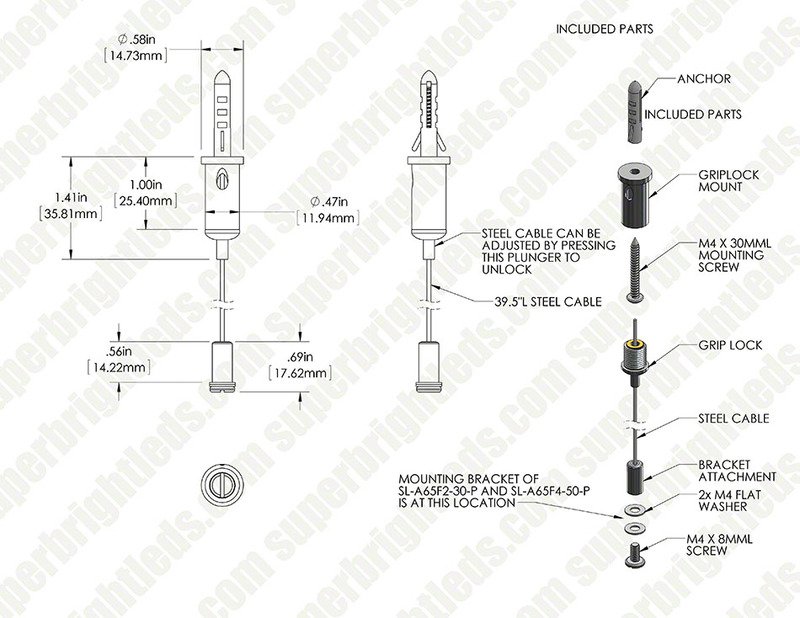 Cables provide suspension of up to 3-1/2'.